Ending Preventable Newborn Death in Africa: Can We Do it in a Decade? At current rates of progress, it will be 150 years before a baby born in Africa has the same chance of survival as one born in North America. We aim to reduce this to ten years by ensuring that African newborns have access to lifesaving medical technologies that are affordable and can withstand the harsh environment of resource-poor settings. This talk will describe our work to design and deploy rugged life-saving neonatal technologies at a fraction of the cost in Malawi, and our plans to implement: (1) a17-piece Newborn Essential Solutions and Technologies (NEST) package; (2) an education program to develop the next generation of inventors and entrepreneurs; and (3) a new business model to bring lifesaving technologies to low-resource markets. Rebecca Richards-Kortum is the Malcom Gillis University Professor, Professor of Bioengineering and ECE at Rice University, director of Rice 360°: Institute for Global Health Technologies, and founder of the Beyond Traditional Borders initiative at Rice University. 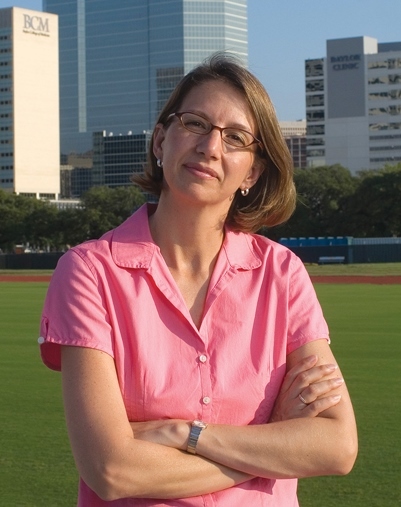 She joined Rice in 2005, and has served two terms as chair of the bioengineering program (2005-2008; 2012-present). Current technologies are being tested and applied through multidisciplinary collaborations with clinicians and researchers at Rice, the UT M.D. Anderson Cancer Center, Baylor College of Medicine, UT Health Science Center-Houston, the British Columbia Cancer Agency. Over the past few years, Richards-Kortum and collaborators have translated these technologies from North America to both low- and medium-resource developing countries (Malawi, China, Botswana, El Salvador, and Brazil). Richards-Kortum’s research has led to the development of 40 patents and more than 310 refereed research papers. Her teaching programs, research and collaborations have been supported by generous grants from the National Cancer Institute, National Institutes of Health, National Science Foundation, U.S. Department of Defense, Howard Hughes Medical Institute, the Bill & Melinda Gates Foundation, the Lemelson Foundation, USAID, Whitaker Foundation, and the Virginia and L.E. Simmons Family Foundation. Richards-Kortum is a member of the US National Academy of Sciences, the National Academy of Engineering, and the Academy of Arts and Sciences. She was one of the twenty-three 2016 MacArthur Fellows named by the John D. and Catherine T. MacArthur Foundation. She also received the highest honor from The American Institute for Medical and Biomedical Engineering (AIMBE) in 2016, the Pierre Galletti Award. She was named a Howard Hughes Medical Institute Professor in 2002 and 2006. Together with Maria Oden, she received the Lemelson-MIT Award for Global Innovation in 2014. She received a B.S. in Physics and Mathematics from the University of Nebraska, a M.S. in Physics from the Massachusetts Institute of Technology, and a Ph.D. in Medical Physics from the Massachusetts Institute of Technology.